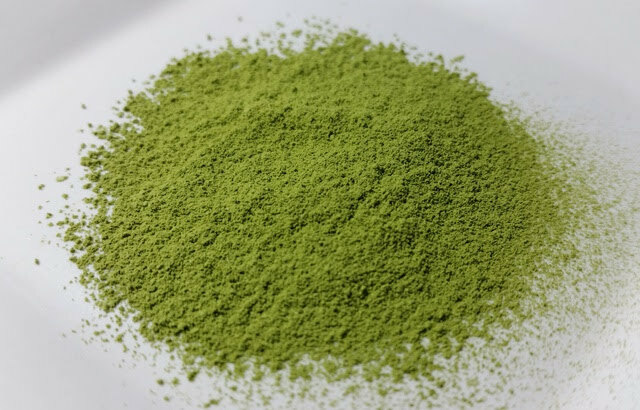 Product Description: This first flush (earliest spring growth) whole leaf green tea was machine harvested before Ipha (the first day of the summer season) from partially shade grown leaves, then steam heated, rolled, dried and ceramic ball milled. This single estate tea comes from the fertile volcanic soil of the cool eastern slope of Mt. Halla on Jeju Island, located off Korea’s southern coast. The nokcha garu (green tea powder) is bright green with a savory aroma of nuts and salty nori. After whisking, the aroma became boldly green and nutty with wood-like notes. The taste is intensely green. 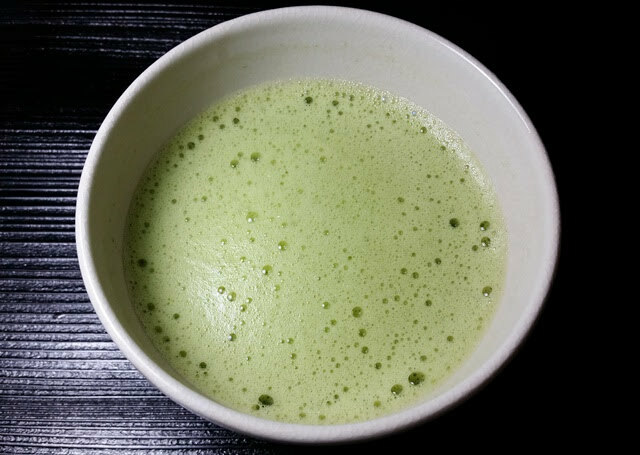 Following the amounts recommended on the packaging produced a bowl of tea that was a little too intense for my tastes, so I prepared a second bowl using measurements closer to tea ceremony, with 1 1/2 scoops of tea using a chashaku (approximately 1/2 teaspoon) and approximately 1/4 cup of water. The resulting aroma was green, nutty, and mossy and the taste was briskly green. Having a sweet beforehand and preparing with slightly less powder and slightly more water results in a pleasingly lively bowl of tea.